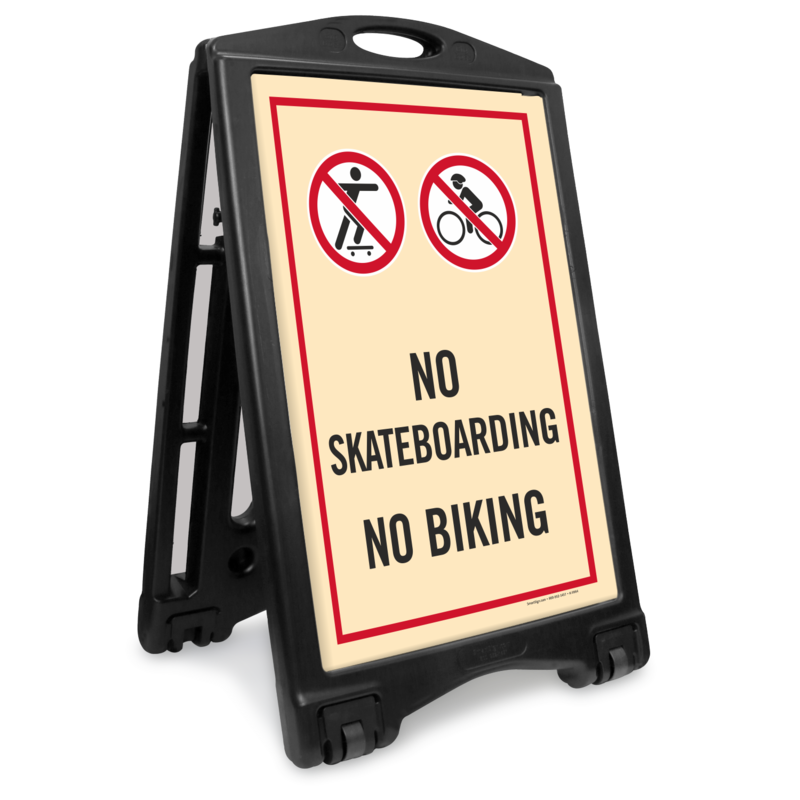 Let everyone know skateboarding and biking is not allowed on your property with this easy to move A-Frame Sidewalk Sign. 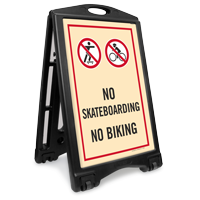 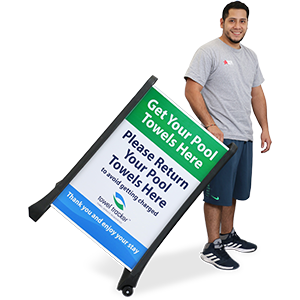 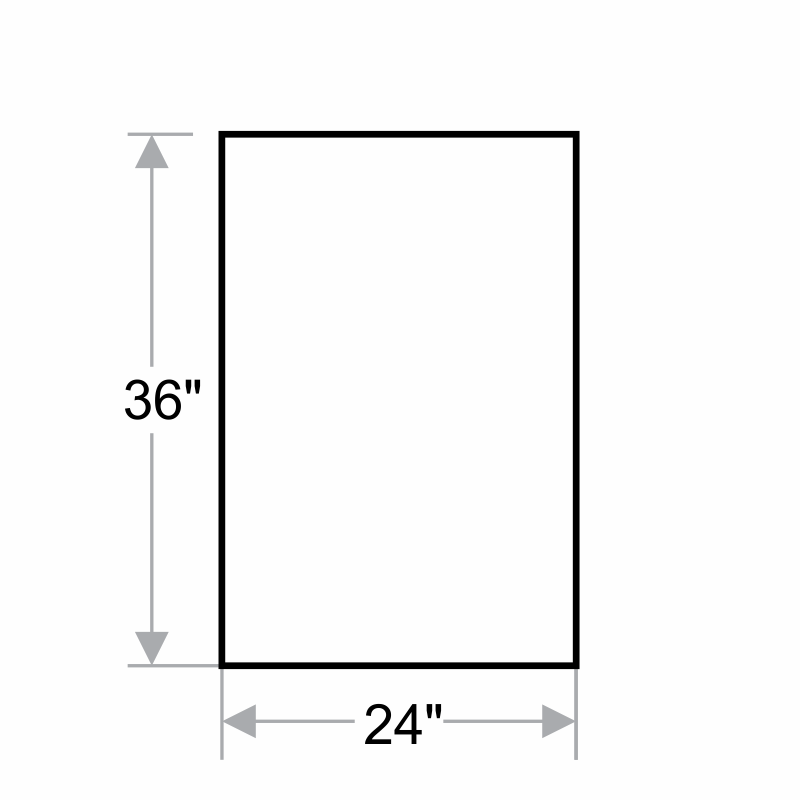 • Sidewalk Sign Kit includes a sturdy frame and two 24" x 36" signs for each side. 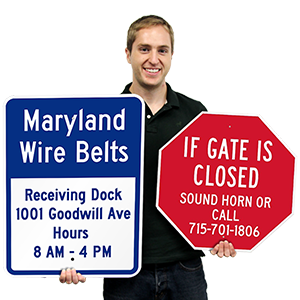 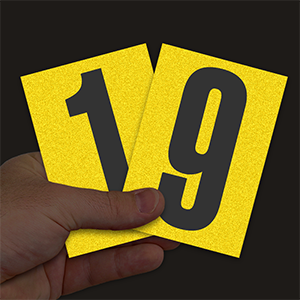 • Clear pictograms on the signs make comprehension easier.